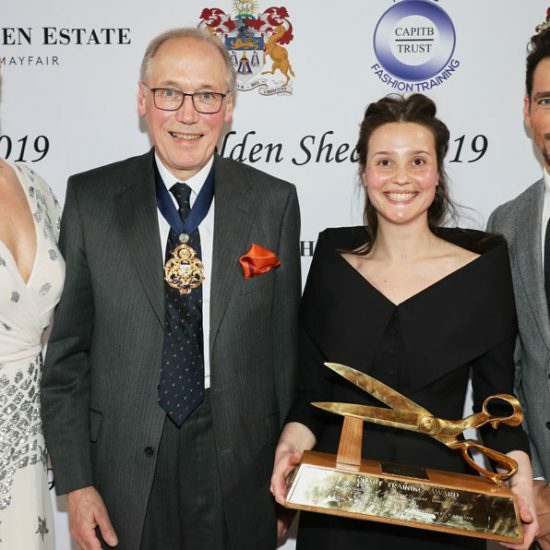 Simon Cundey led the praises for Golden Shears 2017, saying it was, as usual, one of the highlights of the tailoring year. 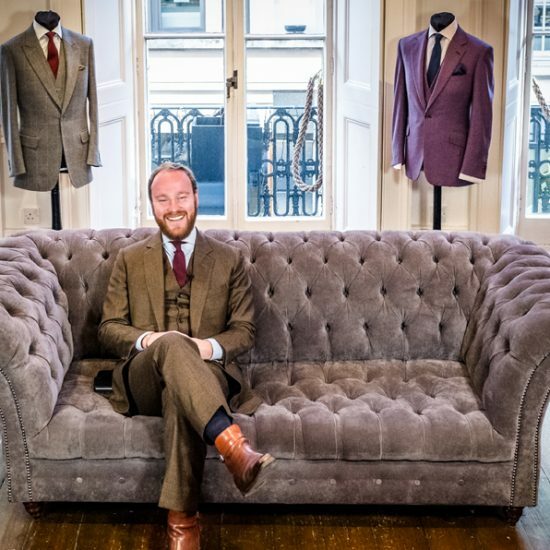 “This year was quite a melange of styling, very elegant styling and the quality was exceptional,” said Cundey, chairman of the Golden Shears and managing director at Henry Poole & Co. This year’s winner of the event held at the Merchant Taylors’ Hall in the City of London was Gieves and Hawkes apprentice Riki Brockman. 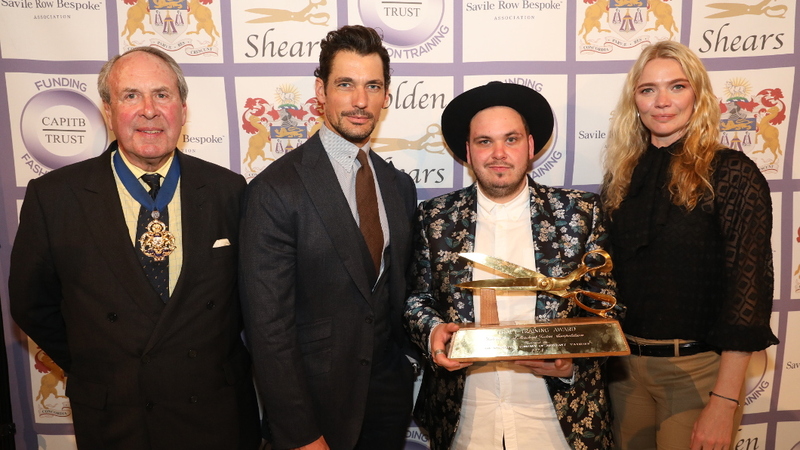 His winning entry – a coyote brown dungaree with beige zipped waistcoat and single-breasted jacket in mid brown – was awarded first place by a panel of celebrity and industry expert guest judges including model David Gandy, TV presenter and model Jodie Kidd, Atonement film director Joe Wright, designer Oliver Spencer and British GQ’s deputy editor Bill Prince. The finalists included entries from London-based tailors and colleges such as Thom Sweeney, Norton & Sons, London College of Fashion, Huntsman, Anderson & Sheppard and Kathryn Sargent, with a handful from further afield such as Leeds College of Arts, Rochester, Hertfordshire and Glasgow. The Silver Shears were awarded to Jorden Barratt, an apprentice at Couch & Hoskins in the City of London for her design of a short black riding cape with silver braid detail, tail coat with embroidered lapel and black trouser, and the Rising Star accolade was won by Matthew Erik-Beale, a student currently studying at the University of Creative Arts in Rochester.